vidhyashakti current affairs magazine ank-89. 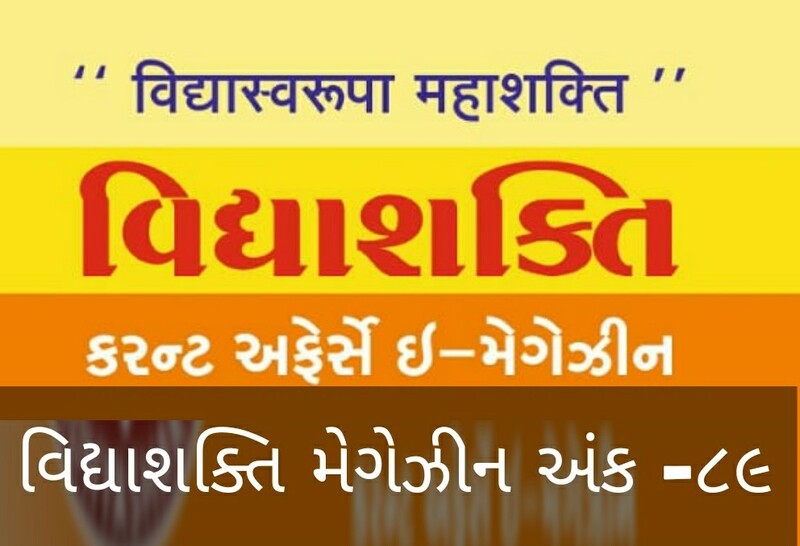 vidhyashakti current affairs gujarati magazine vidhyashakti ank-89, here you can read about gujarati current affairs, general knowledge and news. in this edition we gives the information about Surendra Rosha become new HSBC Bank head in india. -3rd BRICS Film Festival in Durban. -Gopal Krishna Gandhi has been selected for Rajiv Gandhi national sadbhavana award. -Rajasthan become the first state to implement the national bio fuels policy. -India-Germany signed Agreement for financial cooperation. -Outstanding parliamentarian award represented by president of india. -international footwear fair-2018 at pragati maidan new delhi. -successful test of the ballisti missile interceptor advanced area defence (AAD) by DRDO. -Paryatan parv by ministry of Tourism. -in most invester friendly state, Gujarat at third rank. -india elected as a chair in asia pacific institute for broadcasting development. 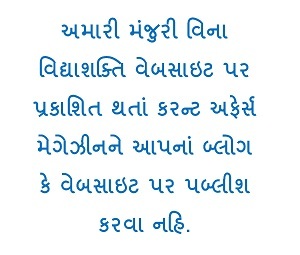 -bharata ayushman program will implement by the Gujarat government.